Aries Fresh has come a long way from its early days as an importer of fresh produce. Aries Fresh is today one of Singapore's biggest importers in selected produce, and has expanded its operations beyond its shores. To revitalize Aries Fresh as an identity with expanding business capacity and regional presence. 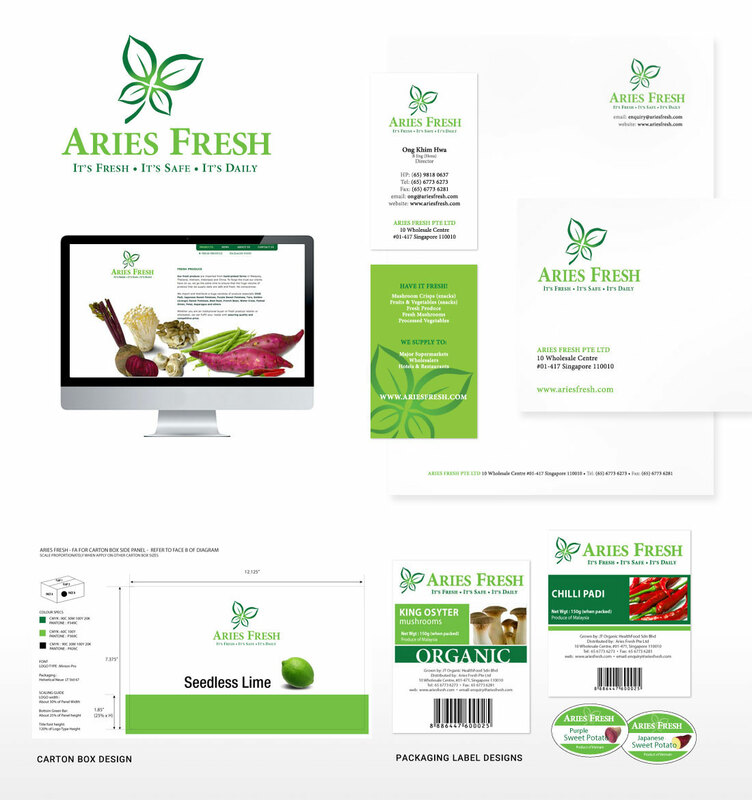 We imbued freshness, energy and vitality into Aries Fresh's new identity to convey its business direction and core values.